In a vessel, along with florets add 3 tsp. 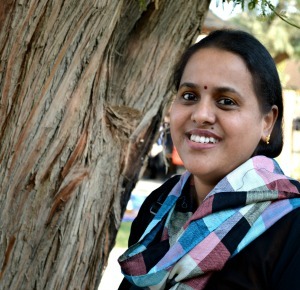 of lemon juice extract, pepper powder, garam masala powder, colouring powder, salt and Mix them well . Keep it aside for 2 hrs. At the time of frying add the corn flour and mix well. Heat oil in a pan and deep fry them until golden brown. OPTIONAL : U CAN ALSO REPLACE LEMON JUICE WITH 1/2 CUP OF CURD. BUT WITH LEMON THE TASTE IS EXCELLENT. Nice.. one. 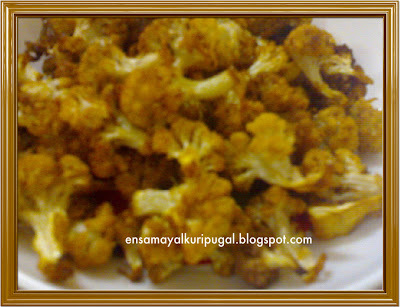 I can eat cauliflower as it is also.. so anything etc on it is a treat.. Sounds delicious and tangy. Different snack, have not tried before. I too make this in a bit different way. Will try ur version next time for sure. cauliflower tikkas, yummmm, nice appetizer!! 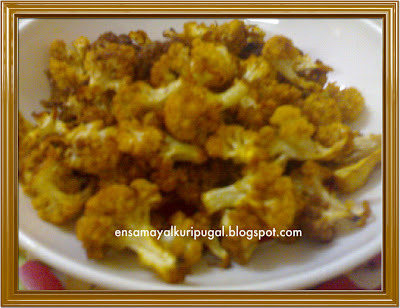 Thanks for visiting my blog..You have a wonderful blog too.Love your recipe collections..
Love your quick and easy Gobi Tikka recipe and with such delicious results. 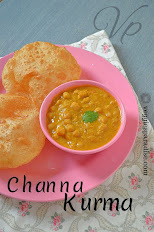 Will try making it soon. 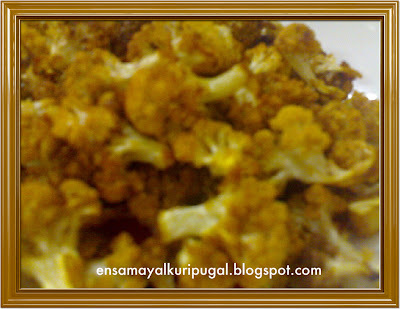 nice and crispy cauliflower tikka.you can visit my blog and give ur comments. that looks crisp and yum! and a all round thrilling blog (I also love the theme/design), I don't have time to read through it all at the minute but I have book-marked it and also included your RSS feeds, so when I have time I will be back to read a great deal more, Please do keep up the great job.